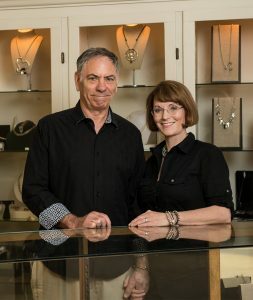 Good Fortune Jewelry is the nation’s largest pre-owned jewelry consignment store. We are a 25 year old family business located in downtown picturesque Keene, New Hampshire and we invite you to visit us when you are in the neighborhood. When you are shopping for unique jewelry we will help you purchase quality pre-owned jewelry at wholesale prices. All of our jewelry has been carefully restored to “like new” condition. When it is time to sell your jewelry we will assist you in obtaining the highest prices for your fine jewelry. Please call or email us for a free appraisal of the current market value of your jewelry. The service that my husband got when he went to look for our engagement rings was absolutely wonderful. He was so nervous because he wanted to get the right ring for me and the woman who helped him made him feel so comfortable!